General Manager Robert Hunt is moving on.He will be leaving in mid-July to take up the position of Assistant General Manager – Corporate Services with Nambucca Shire Council. Mr Hunt said the decision to leave was a very difficult one, and one that was not taken lightly given the positive direction of council and the sense of pride of the residents in their communities within the Shire. “When I arrived here more than three years ago I saw a Council and communities that had the drive to improve and the commitment to make their shire equal to any other in the state,” he explained. “Lachlan Shire has a united Council, and a strong and cohesive workforce. “They are committed to delivering new services and infrastructure to all communities within the Shire. “There is much happening here and it’s a very exciting time for residents with mining related jobs being created, new tourism infrastructure under construction and many upgraded facilities such as amenities blocks, playgrounds, sporting field upgrades, skate parks, libraries and child care facilities still to come. “While I am looking forward to new challenges on the coast, I am saddened to be leaving the Council and staff, and the friends my wife and I have made during our time here. “I would like to thank all I have had the pleasure of working with and meeting during the course of my duties. 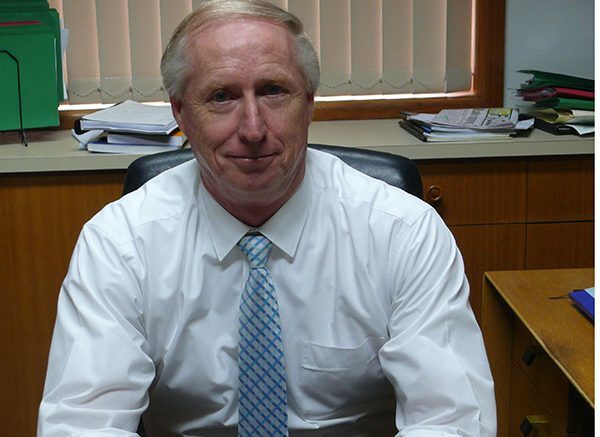 Lachlan Shire Mayor John Medcalf, said it was with regret that Mr Hunt is leaving Lachlan Shire but said he goes with the good will and best wishes from Council for his future. “Robert has made a significant contribution to our Shire over the past three years,” he stated. “He came at a very difficult time with potential mergers looming and various Fit for the Future targets to be met.